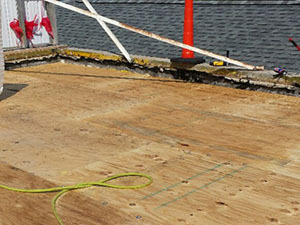 Are you worried that your flat roof may need to be replaced? If so, there’s no need to panic. If your building is located in or around Reading, Pennsylvania give Capital Coating, Inc. a call. You can reach our office at 717-442-0979. With over 20 years’ experience, you can rest assured that your roof is in good hands. The team at Capital Coating, Inc. strives to be the best in the region by providing high quality roof replacement services paired with customer service that goes above and beyond. Let us show you why we are the top choice in Pennsylvania. You can put your trust in us! Did you know that over 25% of money spent on commercial roofing is from unplanned roof repairs? It is always best to have your roof inspected at the first sign of trouble. It is even better to get your roof set up on a routine maintenance program, so you don’t have any costly repairs pop up. If you have noticed any of the following on your roof, call Capital Coating, Inc. at 717-442-0979. The sooner you handle roofing problems the better. 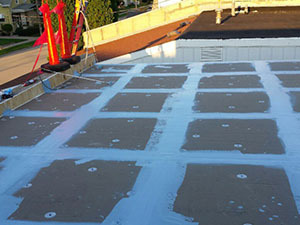 If your roof is located in Reading, Pennsylvania or the surrounding areas, call today to find out if you could benefit from a roof coating instead of a total roof replacement. You can reach our office at 717-442-0979. We look forward to earning your business!